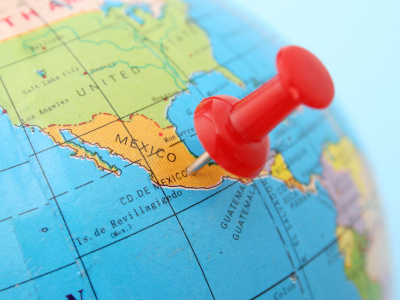 Mexico is experiencing a manufacturing renaissance, one that presents both a number of opportunities and challenges for companies looking to nearshore. On October 22, Source One’s Latin America and Mexico sourcing pundit, Diego De la Garza, will be attending a half-day conference: Mexico as a Strategic Business Partner hosted by the Illinois Manufacturer’s Association and the US Mexico Chamber of Commerce. The conference, taking place at the NI Naperville Conference Center, will include two panel discussions: Mexico’s Legal, Labor, and Fiscal Framework and Supply Chain, Logistics, and Manufacturing. The first panel, will educate attendees on the legal aspects of working with Mexican entities, how to establish operations, as well as key issues and common mistakes when doing business. In addition, the event will also cover new tax developments in 2015, latest news on invoicing, VAT certification renovation for IMMEX companies, labor law, differences, and key considerations. Source One’s De la Garza will share his nearshoring expertise as a panel member for the second panel discussion: Supply Chain, Logistics, and Manufacturing. The discussion will cover challenges, opportunities, and developments in logistics and the supply chain, as well as manufacturing advantages, infrastructure and competitiveness; sourcing and supplier development programs. De la Garza will be sharing his insights on the challenges he’s experienced while sourcing from Mexico, along with his advice for navigating some of the obstacles when trying to engage suppliers. For more information on Source One’s nearshoring services visit: Strategic Sourcing in Mexico and Other Near Shore Countries.